Agriculture in India is affected by unpredictable rains and unreliable power supply. Diesel based power is of high cost per unit and is increasing significantly in proportion with the oil prices. Solar Water Pumping Systems are ideal solution for the agricultural needs as water is required for the crops during day time and there is no or minimal requirement of water during nights. Govt. of India is offering various schemes in the form of subsidy to benefit the farmers who are setting up Solar Water Pumping Systems. 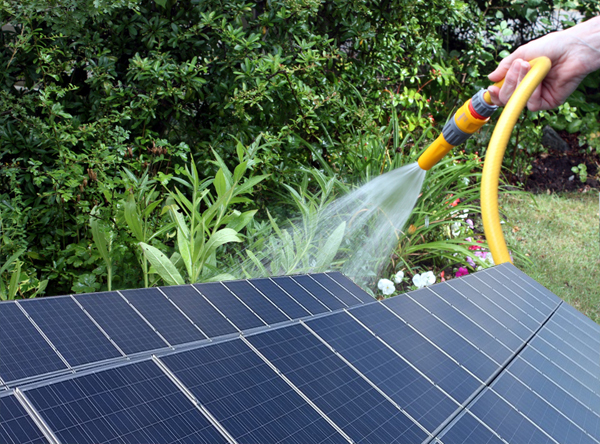 Novus Green offers Solar Water Pumps staring from 1 HP to 10 HP capacities available in both AC & DC type. We are empanelled with MNRE & NABARD to Promote Solar Water Pumping Program where NABARD is providing subsidy & loan to the customers. Our Solar Water Pumping Systems are tested and have excellent performance record with cost effective solutions. So far we completed over 150 installations in India. Non-dependent on Conventional Energy (fuel & electricity).